Birthplace of St. Francis, Patron Saint of Italy, overlooking the Umbria Valley, Assisi is known worldwide as a beautifully preserved example of Italian medieval village. The day trip includes a visit to the Basilica of St. Francis, where you can visit the Saint’s tomb and Giotto's beautiful frescos. After free time for lunch travel on to Spello, a medieval town built in stone with a great view of the Umbrian plain. The region's hilly area provides the ideal terrain for the cultivation of grapes and olive trees which produce characteristic and highly prized oil and wine. The day trip includes a visit to the mill and extra virgin olive oil tasting. Includes transportation, entrance fees and sightseeing with an art professor as indicated. This trip is part of the coursework for course ARH 273 Introduction to Italian Art. the legendary pearl of southern Italy with its fragrant lemon gardens, plunging cliffs and deep green valleys. Visit Pompeii's archaeological sites and take the ferry to spend a full day in Capri, with free time to enjoy its small squares, little white houses and the famous Blue Grotto. On the final day, hike to the top of Mount Vesuvius, one of the largest European volcanos and visit the National Archaeological Museum in Naples. Includes accommodations, breakfast, transportation, entrance fees and sightseeing with a Richmond art history professor as indicated. Discover the cradle of the Renaissance and its outstanding monuments. Take a guided walking tour of the city center to see the Cathedral, the Baptistery and Palazzo Vecchio. Visit the world-famous Accademia Gallery to admire Michelangelo's David as well as Palazzo Pitti, Santa Croce and other places of interest. Enjoy some free time to explore the beauty of Florence on your own. Begin your semester with a 2-night visit to London en-route to Rome. This will allow you to relax, recover from jet lag and get to know your fellow classmates while touring England's capital. Take a sightseeing tour with a professional guide who will point out some of London's most famous landmarks including Buckingham Palace, Westminster Abbey, the Houses of Parliament and the Tower of London. Have time to explore the city on your own where you can take in the gorgeous parks and gardens, see a play in the West End or shop for vintage clothes at Camden Market. Includes accommodations, breakfast and sightseeing as indicated. Discover the unique charm of Venice, a group of fascinating small islands where art and history combine with old trades and the beauty of the sea. Travel by fast train, take a guided walking tour to admire Piazza San Marco, the Doges Palace, cross the Grand Canal with a gondola and enjoy free time to explore. Visit St. Mark's Cathedral and the Accademia Gallery. Students stay in a centrally located hotel near the Grand Canal. Fee includes transportation, accommodation, breakfast, one dinner, entrance fees and sightseeing with a Richmond professor as indicated. Explore the region in Central Europe that witnessed one of the greatest atrocities in human history. Visit Auschwitz-Birkenau, the largest Nazi concentration camp of WWII, Schindler's factory and the Jewish Ghetto and the impressive Wieliczka Salt Mine. In your leisure time explore Kraków's historical center with its main Square, the Castle and the surrounding scenic Vistula river. Includes accommodations, breakfast, ground transportation in Kraków, entrance fees and sightseeing with a Richmond professor in International and Political Studies. Airfare, transfers to/from airports, lunch and dinner are not included (except for one traditional Polish dinner and one "Communist" lunch.) Once in Rome staff will advise students on purchasing the cheapest available flight. Experience the rich cultural heritage of the Mediterranean's largest island. Sicily offers some of the most beautiful examples of ancient and medieval monuments in the world. Stay in a centrally located hotel in Palermo and from there visit the Palazzo dei Normanni, Segesta Greek and Roman ruins and the cathedral. Enjoy a typical Sicilian dinner and taste traditional street food. Includes accommodations, breakfast, ground transportation in Palermo, entrance fees and sightseeing with a Richmond art history professor. Airfare, transfers to/from airports, lunch and dinner are not included (except for one traditional dinner in Palermo). 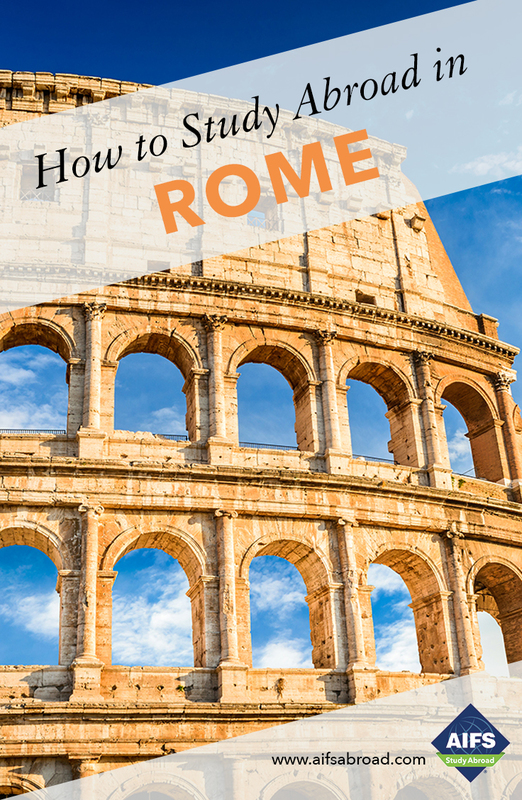 Once in Rome staff will advise students on purchasing the cheapest available flights.